Tubbs Snowshoes' adjustable-length 2 Part Snowshoe Poles lend added security and stability on uneven, steep, or icy terrain, and they can turn an outing into a total body fitness workout! 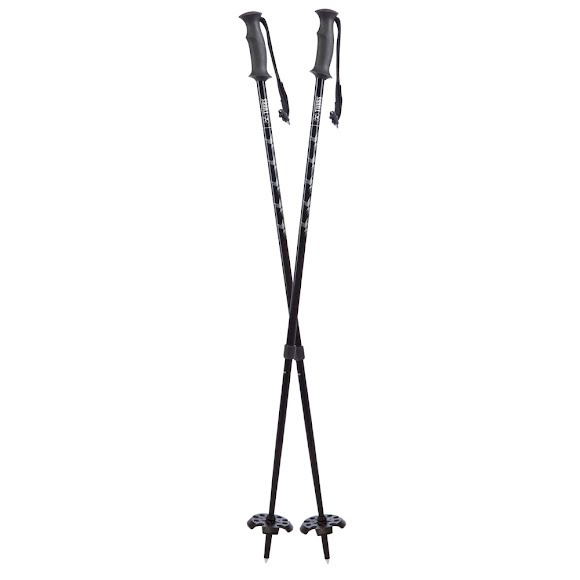 Lightweight 6000 Series aluminum and a carbon steel tip provide durability for varied terrain..
Tubbs Snowshoes&apos; adjustable-length 2 Part Snowshoe Poles lend added security and stability on uneven, steep, or icy terrain, and they can turn an outing into a total body fitness workout! Lightweight 6000 Series aluminum and a carbon steel tip provide durability for varied terrain..
Dimensions Adjustable 105 – 130 cm.